Julie Speier is the founder and director of San Juan del Sur Day School. Before moving to San Juan del Sur, she was the program coordinator of the toddler program at Cincinnati Country Day School where she worked closely with parents and oversaw 3 head teachers, 3 assistant teachers and 36 students. She also taught Pre-K, Kindergarten and first grade while there. During her time at CCDS she was mentored in and used the Constructivist approach to education. She also worked with colleagues to develop and implement a curriculum that is still in use there today. While at CCDS, Julie also coached the middle school Cross Country and Swim teams. She served on numerous committees including SEED (Seeking Equality through Educational Diversity), Search for the New Head of School, ISACS (Independent Schools Association of the Central States) and Growth and Development. She worked closely with the Head of School and the Lower School principals allowing her the opportunity to observe and learn from these gifted leaders. Prior to her work with CCDS, she lived in Hawaii where she taught second grade ESL at Kalihi Kai Elementary School and developed a love and passion for the ocean and surfing. At Boston University she earned her degree in Early Childhood Education as the recipient of a full swimming scholarship. In addition to her passion for teaching, and love of surfing, Julie is also a certified yoga teacher. Julie has two young daughters with her partner John Crilly. Originally from Canada, Stephanie Norrie has traveled and lived in many places, from the northern most parts of Canada, remote islands, to many major cities. Working hard and always putting forth her best efforts has been the main cause of her successes in such diverse locations worldwide. From a young age, Stephanie knew she was passionate about, and enjoyed positively aiding the development of young minds. This skill and knack has been passed down to her through generations of teachers on both sides of her family. She started with volunteering in her mothers classroom working one-on-one with children having difficulty keeping up with curriculum, to eventually having her own classroom. Stephanie has constantly been involved with the empowerment of teaching since the age of ten. Pursuing her love of education, Stephanie first became a dance teacher and eventually pursued a degree in Applied Child Studies. She then went on to teach English abroad. Her travels eventually brought her to Central America where she fell in love with the people and culture. The opportunity to combine her love of travel and teaching is a dream come true for Stephanie and she is so excited she finally got to make the permanent move to Nicaragua! Gina DiPiero joins us from Brooklyn, New York, where she has lived for the past decade. She received a Master’s Degree and dual New York State certification in Early Childhood Special and General Education from Hunter College in New York. Gina brings nine years of experience teaching young children. Her personal teaching philosophy is founded on a firm belief in inquiry-based learning tied to direct sensory experiences. She embraces an emergent, project-based curriculum model, using the children’s own questions and interests to plan meaningful learning experiences while embedding developmentally-appropriate literacy, math, and science activities into curriculum explorations. Above all, Gina maintains a classroom environment where children’s competence is recognized and their thoughts and ideas are respected. 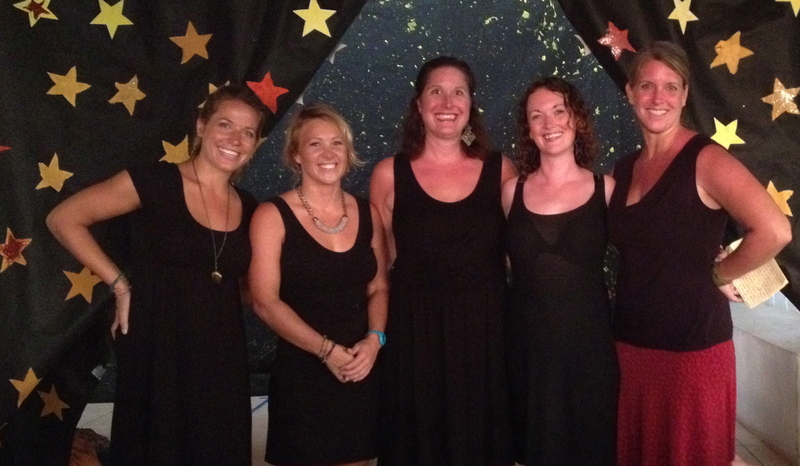 Lisa Moore first joined the San Juan del Sur Day School team in 2014. She hails from Northern Canada, but has been visiting Nicaragua for many years. Lisa has 9 years of experience as an early childhood educator and graduated from Red River College in Winnipeg with a diploma specializing in developmental services. She believes that children learn through play, experiences and from each other. Her classroom is set up in a way that allows your child to arrive and make their own choices about what they want to play with and explore. She uses this center time so that children can learn to work independently, be engaged and also to have a time to interact, learn cooperation and teamwork among their peers. Kristin Eliason grew up on a grain farm in Saskatchewan, Canada where she attended a school in a small town called Outlook. She took piano lessons there for many years, competing in music festivals and eventually achieving her RCM Grade 9 when she graduated high school. After high school, she spent a couple years traveling and working in Europe before going back to Canada to go to school. Kristin attended the University of Saskatchewan where she received an English Degree and a Bachelor of Education. She then moved to Lloydminster, a border city on the Alberta/Saskatchewan provincial border where she taught Kindergarten for two years and Music for another two years. Kristin has always loved inquiry-based learning as it creates such an authentic and exciting experiences for children and allows for a natural integration of music into her teaching. She is looking forward to learning and growing with all the students at San Juan Del Sur Day School! Katheryne (Kat) Young is originally from California and graduated from the University of California at Santa Barbara. She relocated to San Juan Del Sur about three and a half years ago. She has one daughter, now a Tigre, who has attended the school since the family first arrived. Kat holds over ten years of teaching experience in the United States where she worked as a science teacher, an environmental educator, and a naturalist. She has been volunteering and substituting for the Day School for three years and is now very happy to be lead teacher for Los Rayos. Donna Williams hails from the U.S. and she and her husband moved to San Juan del Sur in March of 2017 for a new chapter in their life’s adventure. Donna has been teaching since 2006; she has worked students of various ages and special needs in the U.S. (in Arizona, California, and Hawai`i) and she has taught at the college level as well. Before discovering her love for teaching, Donna worked in the weight loss industry, as a college academic counselor, and as a drug rehabilitation counselor at an inpatient facility. She studied nutrition and psychology at San Diego State University, where she earned a Bachelor’s Degree. She later earned her Masters in Marriage, Family and Child Counseling, and then Masters in Elementary Education at University of Phoenix. Donna is living proof that you can never stop learning and it is never too late to pursue a goal! Donna truly enjoys working in the education field. It is her mission to create a safe and supportive community of learners who demonstrate mutual respect for one another. Sarah Denner is constantly inspired by the world in which she lives and looks to find a balance between the mind, body, and spirit. She is a traveler, artist, and nature lover. She grew up playing in the woods of New Hampshire, building forts, swimming, and hiking. At the University of New Hampshire she received her degree in Pre-Veterinary Medicine. After this, adventure called to her, so she moved to Montana and has called it home for the last 10 years. This is where her passion for education and the natural world combined, and after some years of living the “ski bum” lifestyle, she went back to school and received a Master’s degree in Education. As an educator, Sarah regards herself as more than a mere purveyor of knowledge. She believes spending time in the outdoors with our next generation, as well as inspiring them to become well rounded, engaged citizens of the community and stewards to their environment, are the greatest gifts that she can pass on. She has fostered these ideals through work with the Audubon Society, Montana Outdoor Science School, and as a high school teacher in biology and environmental science. Nicaragua has truly captured Sarah’s heart and intensified her investment in the people, community, and natural resources that make this area unique. She is so happy to be living in San Juan del Sur and to be part of an amazing group of students and teachers at San Juan del Sur Day School! Kristy Poteete-Kriegermeier moved to San Juan del Sur from Illinois, USA where she served as the Director of Communications for Geneva School District. She holds a bachelor’s degree in Political Science from Eastern Illinois University and a Master’s Degree in Latin American Studies from the University of London. Kristy has extensive work experience in the field of bilingual education and enjoys the process of language acquisition. Her goals are to engage students, grow their sense of wonder, and make them excited to learn! 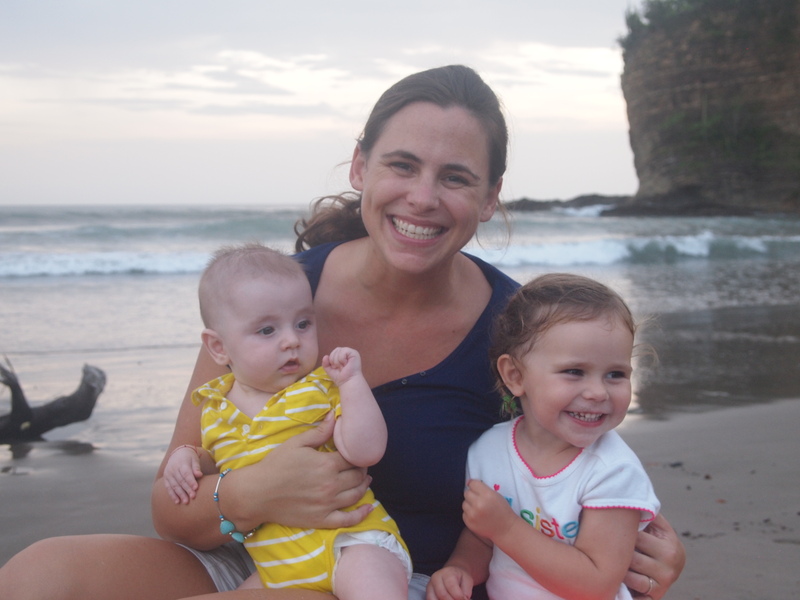 Kristy and her husband, Eric, have two daughters who attend San Juan del Sur Day School. Alex Mercado Martinez, also known as the Human Calculator (as named by the students) is Teaching Assistant with Los Rayos (2nd and 3rd grade). Melba de Soccorro Almador is our teaching assistant with our youngest group, Los Ositos. Melba is originally from Northern Nicaragua where she grew up with a large family on a farm in the mountains. She has a naturally sweet, kind and patient demeanour with the children. She is a natural teacher, while playing with the infants and toddlers, she teaches them shapes, colors and numbers while putting away toys. She assists the youngest students and is an expert at distracting or comforting a child who may be crying or upset with having to say good bye to parents in the morning. She has a great smile and uses age appropriate tone and facial expressions when interacting with our youngest students. She is a hardworking, reliable and pleasant presence to have at the school. Yolanda Rodriguez is our Teaching Assistant to Los Monos (first grade). Yolanda has been with the school since its inception in early 2009. She began working in the kitchen, preparing healthy snacks and meals for the students, but it quickly became evident that she had the perfect demeanor to work with children. As a result, she began taking English and computer classes in nearby Rivas and is working towards obtaining her teaching certificate in early childhood education. She is also attending training workshops in the Montessori approach to education. On any given day, Yolanda can be found reading books with the Monos, teaching a Spanish lesson to the Tigres, singing songs at circle time, and more! Yolanda has a wonderfully playful hands-on approach to education and our students adore her! Roxana Jimenez Jacamo is our experienced chef who joined the San Juan del Sur Day School team in 2016. Prior to working for the school, Roxana prepared delicious meals for Wrap ‘n Roll, a popular San Juan restaurant featuring healthy and fresh ingredients sourced from local farms. She brings her experience with her to San Juan del Sur Day School, preparing inspiring and creative meals and snacks for our students. She enjoys cooking Asian-inspired dishes and finding new and different ways to encourage kids to be healthy eaters. Daniel is the friendly face that greets our parents and children at drop off and pick up each day. He has a kind and gentle disposition and is a wonderful presence for the children. He maintains the property and uses natural materials to teach the children simple shelter building techniques which result in great play spaces for the students. Victor is hardworking, trustworthy and responsible, we are happy to have him as part of our staff. Sarah Fahey joined the San Juan del Sur Day School as Director of Development in 2012, assisting Director Julie Speier with social media, enrollment, and administrative duties. Prior to moving abroad, Sarah earned her bachelor’s degree in English with a minor in early childhood development from Skidmore College. She worked for 6 years in public television helping to produce such children’s shows as Arthur, Time Warp Trio, and Curious George. She then went on to obtain her master’s degree in school counseling from Boston University and worked as a school counselor for two years at the Fay School and also as a case manager in a homeless shelter for pregnant and parenting teens. She has two children who both attend San Juan del Sur Day School.